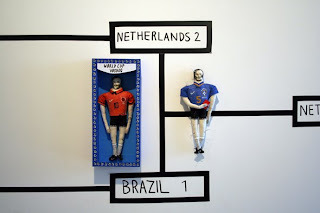 Popped into YCN today to drop off my piece for Pat's World Cup wall, which he put together in the YCN shop....it is looking great! 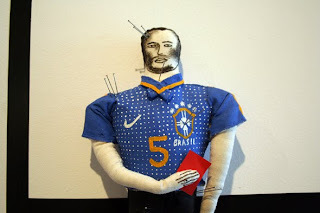 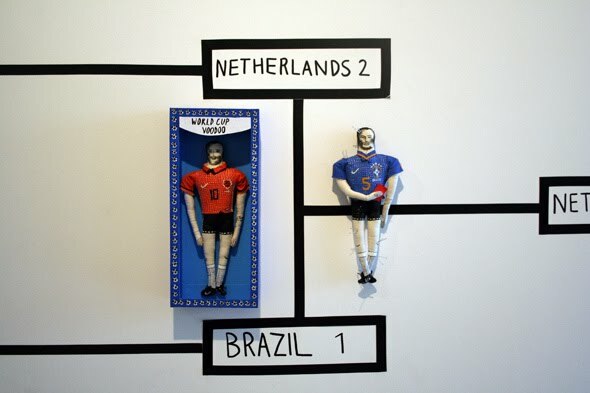 I made two World Cup Voodoo dolls to illustrate Brazil's loss against Holland, in the match on Friday. 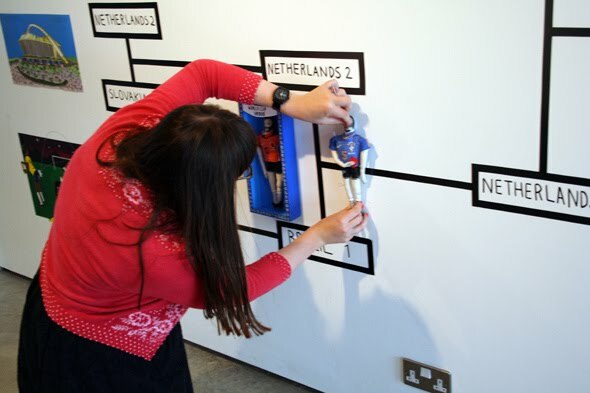 You can follow the updates of the wall HERE. 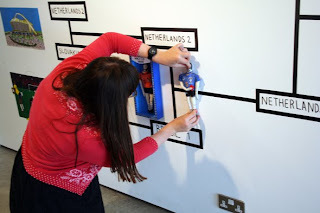 Thanks to Pat via the YCN blog for the photos!